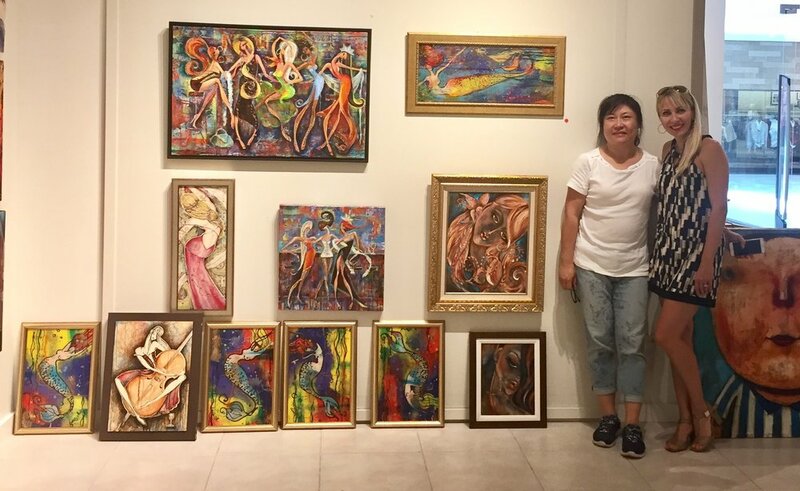 Happy to share with all of you that three of my artworks went to a great home in Beijing, China. Visiting DZian gallery in Natick, MA, Linda spotted my “Girls Night Out” 24X36 original painting. She found my art style very appealing to her taste. Unfortunately, she couldn’t take the large art piece which she wanted, as she was flying back home. As a solution, I brought several smaller art pieces for her to view to see if there would an interest … and there it was: the collector fell in love with three of my paintings. Linda is an annual visitor to our area, so I look forward to further build my relationship with my new international collector.